Alice (5lb10oz) and Rosie (5lb6oz). 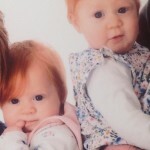 My girls are now 11 months and they were my third birth. My previous two were natural but this time I was given the choice and due to fracturing my coccyx in my last birth I was adamant I would be having a c-section. Fortunately for me the hospital were more than happy to agree to this. It’s very surreal when you are told the date when you will be giving birth. Knowing it was going to be two weeks before my due date did take away some of the excitement. On the actual day when I turned up at West Middlesex hospital at 7am in the back of my head I kept thinking “no it won’t happen today, some emergency will come in and I’ll get sent home.” Well an emergency did come in but they still managed to do my operation afterwards. So at 36 weeks and 3 days and both babies in a breech position we got all dressed up in our gowns and my partner and I walked into the theatre. It was so full of people and they were all talking to one another – introducing everyone to us certainly took a while. The epidural was done by the same doctor as my previous birth as well as a recent operation my partner had, so we were old hat at that game. As they asked me to lie on the operating table I suddenly felt an enormous pang of dread and embarrassment as I realised I was still wearing my pink fluffy slippers. I handed them to my partner who now had to sit there holding my hand and a pair of pink slippers! As I lay there I could hear everyone talking and feel my body being moved about and I kept asking my partner “have they started yet?” Yes was his reply and all of a sudden the screen lowered and a baby was held aloft. At this point the anaesthetist said “oh there’s THREE of them”. I missed the joke completely and the curtain lowered and baby number two appeared. As I lay there it seemed like forever waiting to see my babies and my partner told me that Alice was 5lb10oz and Rosie 5lb6oz. Eventually after what was an age I was wheeled out to the post theatre room but I still couldn’t hold my babies as their breathing was rasping. As soon as I could hold them they were given a feed and we were then taken up to the ward and given my own room. The following day we were ready for discharge but I was in too much discomfort so because it was the weekend they suggested I stayed an extra night. Once home the health visitors came every day but by day 5 the girls were readmitted to hospital due to losing too much weight. They next few days were a blur of feeding and pumping and after two nights we were home. It took a few weeks for the girls to reach their birth weight but since then they’ve grown and grown and I can’t believe it’s been 11 months already. 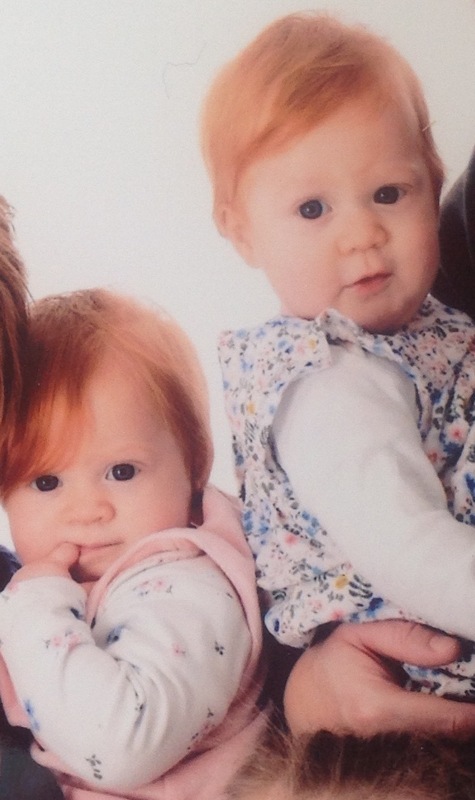 It’s gone so fast and my tiny tiny little babies are cheeky little girls now.